Melvyn Bragg and guests discuss Michael Faraday, the most famous British scientist of the 19th century. Melvyn Bragg and guests discuss the eminent 19th-century scientist Michael Faraday. Born into a poor working-class family, he received little formal schooling but became interested in science while working as a bookbinder's apprentice. He is celebrated today for carrying out pioneering research into the relationship between electricity and magnetism. 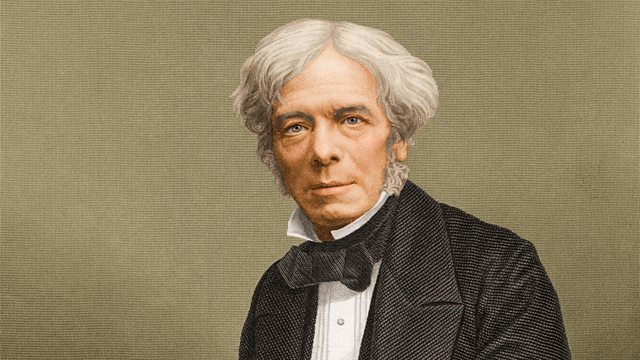 Faraday showed that if a wire was turned in the presence of a magnet or a magnet was turned in relation to a wire, an electric current was generated. This ground-breaking discovery led to the development of the electric generator and ultimately to modern power stations. During his life he became the most famous scientist in Britain and he played a key role in founding the Royal Institution's Christmas lectures which continue today.